Home Commentary Why is the Jammeh Dictatorship State Still Persisting in the New Gambia? As the first anniversary of the Coalition Government has demonstrated there is little excitement to celebrate any major successes of the 1st year of the New Government. In place of the unity, which gave birth to Coalition 2016 that paved the way for the UDP Flag Bearer: then Candidate now President Adama Barrow- there seems to be some dissonance amongst the Coalition partners. Dashing the high hopes and great expectations of the people. PDOIS-one of the principal architects of the modalities of Coalition 2016 chose to sit out of the Executive arm of government by not accepting any ministerial position in the new Government. Also, well before the first anniversary, one of the partners in Coalition 2016 was relieved of his ministerial responsibilities. Without explanation or reason for the decision to remove him. However, a cacophony of voices claiming to speak for the ordinary people: extol their own sacrifices and contributions to bring change to the Gambia. Several individuals and political parties have mushroomed in this year already with no direct affiliation to Coalition 2016. The debate as to which Political Party is the largest in the Gambia was conclusively and decisively settled by the National Assembly Elections held in April 2017. The imminent local government elections will see further consolidations of the real strengths of the parties in different parts of the Gambia and the country. These elections will complete the electoral cycle that opened in 2016 with the ouster of the Jammeh dictatorship. Thus, making it abundantly clear that what happened on 1st December 2016 in the Gambia was not a takeover, a revolution or an overthrow of the constitutional order. What happened was an orderly change of the head of state who was also the head of government as prescribed by the 1997 Constitution and the laws of the Gambia. This distinction is worth elaborating on because all the other offices of the state are established by the Constitution and other laws of the Nation. The laws are made by the same people who elects the government either directly or through their representatives. This is how constitutionalism constraints the exercise of executive power in a modern democratic state. In deed it is the same constitution and laws that the Coalition Government is relying on to manage the affairs of the nation. If the constitution was sound we could have been spared the tragedies of the political impasse of December 2016 and January 2017, because there would be a clear institutionalised pathway for the assumption of the powers of the presidency. Instead of the unsatisfactory settlement still found in the 1997 Constitution i.e. apart from the stipulated sixty days deadline given for the Person elected to assume the powers of the office. No other steps, process or procedure is prescribed by the constitution. Whether this was by design or inadvertence it leaves room for mischief. Nobody is seriously asking the title question above because a truthful answer will require the dismantling of the current institutional arrangements and the state architecture on which the Coalition Government is depending to execute its Transition Agenda. To seriously answer this question demands a complete break from the immediate past 22 years, the habits of arbitrariness, the gross incompetence and the corruption complicity that was within the highest echelon of the Jammeh Government. The corruption-incompetence-complicity nexus that characterised the Jammeh dictatorship has been carried over by some of the senior public servants retained and or reinstated, reappointed or redeployed. Cronyism and the personalisation of public offices and appointments, unaccountable decision making continue undiminished. Lack of integrity in public finance management and the absence of monitoring and appraisal frameworks for public servants. Another reason is the false belief that the rule of law as a good governance theory is static and cast in stone! Gambians of all shades of knowledge and opinion are falling over themselves to interpret the Constitution and existing laws to explain why certain developmental activities cannot be pursued because of the 1997 Constitution. As a first principle we must accept that there are such things as bad and useless laws in existence in the Gambia and it is the responsibility of the people to demand that bad laws be thrown into the dustbin of history and that useless laws have no place in democratic politics. Lest we forget Apartheid South Africa was based on the rule of law and so was Hitler’s Germany. Suffice it to say that not everything in a constitution is good or just. As a result, it is bewildering to many Gambians that there has been no attempt to develop a programme of institutional innovation responsive to the interests and aspirations of the majority of Gambians. The Coalition Government has continued to rely devotedly on the 1997 Constitution, all the Laws, Regulations, Ministries, Agencies, Names, Structures, Programmes, Projects etc. left by the Jammeh State. In the 1997 constitution of the Gambia there are several incongruities, but the most striking conundrum is that the elected members of the National Assembly can only introduce bills as Private Members whilst all Public Bills are laid before the National Assembly by Ministers who are neither elected nor vetted by the people but appointed directly by the President and they serve at the pleasure of the President. This anomalous situation is a carryover from the 1970 Republican Constitution of the Gambia which was based in part on the principles of the Westminster parliamentary system, under that system to be a Minister of state one must be a member of the parliament first. So, it made eminent sense then for the Minister responsible for a portfolio to present bills in respect of that ministry. This was the raison d’etre for the Ministers in the first republic to have had the special responsibility to lay before Parliament all Public bills and since the chief legal adviser of the government of the day was one of their number all legislative drafting work was done by the Parliamentary Counsel housed at the Attorney General’s Chambers as it is case today. Now that we have a new government there is no need to do the business of government this way rather there is an urgent need to reform and reinvent the institutions of governance. Thus, under the 1970 Constitution all the Cabinet Ministers were elected members of the House of Representatives except the Attorney General and Minister of Justice who was nominated alongside other nominees who sometimes also served in the Cabinet. The other distinguishing feature of the 1970 Constitution was the election of the President of the Republic as the head of State and Head of Government in the American style of a Chief Executive Officer clothed without enormous powers to appoint judges, ministers and heads of the specialised agencies of the state. Effectively then the 1970 Constitution was a cross between the Westminster Parliamentary system of collective leadership vested in the Cabinet with the Prime Minster as primus inter pares and the imperial presidency found in Senegal. With the caveat that instead of a prime minister there is a vice president also appointed by the president. This hybrid had served the Gambia relatively well in the two and a half decades that the 1970 Constitution provided the governance framework for the country. Statecraft and effective government must be based on the collective experiences and aspirations of the people. The institutions that grew out of the 1970 Constitution were austere and relevant to the challenges of nation building. Because ofthat ecosystem despite its small size the nation produced first rate public servants to manage the affairs of the country, subsequently some of them served in the international civil service and retiring as UN Under Secretary Generals. The quality of human capital that the institutions of the Gambia had produced can be seen in the high-profile positions they are currently occupying on the international scene. The overthrow of the 1970 constitutional order by Jammeh and his gang in July 1994 ushered in an era of political decay and institutional decline across the board. Nepotism and tribalism took centre stage. All kinds of iniquities were visited on the body politic of the nation. Political assassinations and disappearances became commonplace in the Gambia. Indiscriminate illegal arrests and detentions became rampant accompanied by systematic looting of the national treasury. In broad daylight Jammeh neutralised all his associates from the July 22 Coup d’état and became an absolute despot. Hiring and firing at will some of the most mediocre Gambians as ministers and senior public officers. Most of those who stayed long in offices under Jammeh were either complicit in his nefarious activities or were bypassed so that they do not share in the loot, but they were all willing accomplices or at best they were incompetents protecting their jobs. What is baffling to most Gambians is the continued employment of some very prominent enablers of the Jammeh dictatorship in the public service of the Gambia. Even after several appearances before the Janneh Commission to answer significant queries in respect of their competency and integrity during their time in some of the highest office in the Gambia. 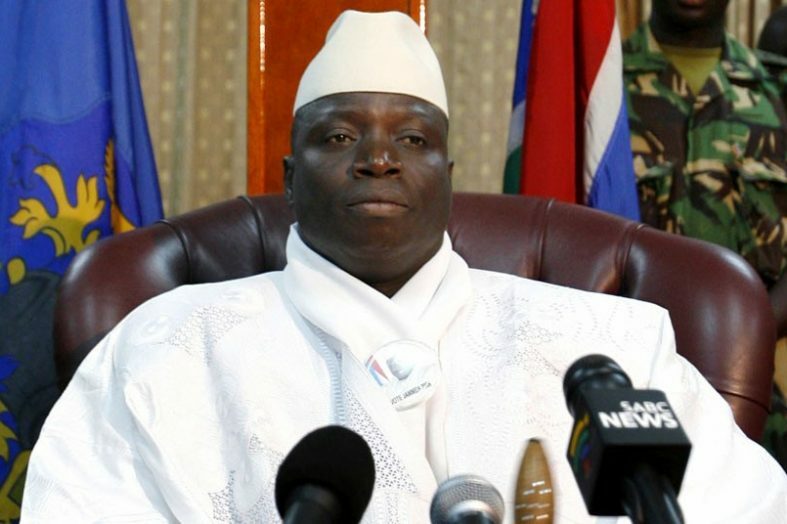 Whenever it is politically expedient the Coalition Government invokes the rule of law mantra urging the citizens to be patient and not to prejudge the outcome recommendations of the Commission of Inquiry and to respect the processes laid down by law and the sanctity of contracts even odious agreements that continue to benefit the Jammeh dictatorship operatives. When it is convenient constitutional amendments have been rushed, botched and then made properly. Therefore, it is clear it is possible to change the laws that establish the institutions of state. When at a crossroads one needs the audacity of a clear vision to get to a desired destination. At the same time, we must have the humility to acknowledge that we have not been here before as a nation and as such we need to learn and borrow from successful models. After enacting the first republican constitution in the world the United States of America then just a few colonies realised that although their Declaration of Independence proclaimed certain inalienable rights for the citizens of the new republic the constitution did not have any provisions dealing with fundamental rights of the person. Thus, necessitating the first five amendments to the US Constitution which to this day are known as the bill of rights. All modern constitutions provide for these fundamental Human Rights. Chapter 4 of the 1997 Constitution provides a human rights framework for the Gambia. ‘Congress shall make no law respecting an establishment of religion or prohibiting the free exercise thereof; or abridging the freedom of speech, or of the press; or the right of the people peaceably to assemble, and to petition the government for a redress of grievances’. These three sentences are perhaps the greatest 3 sentences in political history. Imagine if the new Gambia had started with them. The democratic space and political participation of all Gambians would not be still on the drawing board! To be fair a national development blue print has been unveiled by the Coalition Government as a substitute for a substantive structural reform programme or a comprehensive transformation agenda. Let’s not forget that Friday has been reinstated as a working day for the public service and the Gambia is no longer an Islamic State. Similarly, some ‘Technocrats’ have been included in the Coalition Cabinet while some members of the Coalition have chosen to stay out of the executive arm of the Government and one member of Coalition 2016 was relief of his ministerial appointment and replaced by a ‘Technocrat’. All these cannot make up for the let-downs of coalition politics-the missed opportunities, the unforced errors, the insolence of office and the Coalition Government unpreparedness to govern creatively. The rule of law is the best barometer in our time to determine how democratic a nation is and how accountable and corruption free are the institutions? As votaries of the rule of law we have a responsibility to ensure that all actions, decisions and exchanges of the Government are based on the Laws of the land. However, we must start with making the right laws, just laws, empowering laws, aspirational laws and laws that give us dignity and prosperity at the same time. This we can begin with strengthening the Legislative arm of the Government as law making is the safest and surest way to effect political change. To be clear making good and just laws and enforcing them rigorously is the best guarantee against tyranny and corruption. Where good laws exist, there is no need to tinker but in areas where no laws are in place or anachronistic laws are stunting the growth of the nation. New and better laws must be planted to provide a forest cover for the rule of law ecosystem to thrive. The National Assembly must be restored to its full powers to make the laws we need to grow. 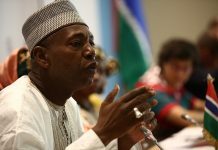 The 1997 Constitution must be amended to reflect the changed circumstances of the Gambia. The people have banished the dictator now it is time to exorcise the ghost of dictatorship deeply embedded in the innocuous sounding texts of the 1997 Constitution. A government based on the principle of separation of powers is necessary for the citizens to enjoy their basic rights concurrently and continuously. Central to the idea of a representative republican government is the people making the laws governing them through their elected representatives. Consequently, separating the core functions of the Government makes accountable and good Government possible, at the same time ensures that there are enough checks and balances between the different arms in the working of the government of the people. A cursory look at the laws of the Gambia will show that there are significant lacunae, gaps, anachronisms and outright contradictions between the laws and our ideals of a free democratic society. In this respect the Law Reform Commission must be revitalised with a full time CEO to undertake a comprehensive review of all laws of the Gambia and decide of their fitness for purpose for the present circumstances. This final recommendation is made because I believe it will be relatively inexpensive to implement and less attention grabbing. And needless to say, it will have universal support from a cross section of society and development partners. The dictatorship state persists because we have failed or neglected to make laws against dictatorship and we have not written into the books of law the CHANGE we are loudly proclaiming. The new Gambia needs NEW LAWS.